When I was pregnant with my first child we found out she was going to be a she. I remember being a little stunned. Having grown up with all brothers I wasn’t sure I knew what to do with a girl. There were lots of "I'm having my first child" style panic attacks at bedtime about all the girl things I had never mastered (never mind that I am, in fact, a girl and I’m pretty sure I’m doing all right). When I was young my mom sewed dresses for me, and when I was older she modified some off the rack dresses to meet our standards of coverage (because I was too cool for homemade clothes then). She attempted teaching me sewing, but I wasn’t an eager student. So when I was panicking about all the girl things I felt I needed a better grasp on before I raised a girl sewing was pretty high on the list. I had some basic sewing knowledge. I could thread a machine without help, and I knew some basic stuff. Backstitch at the beginning and end of seams. How to sew a straight line. Ya know, basic stuff. After my girl came along, I found sewing blogs. They kept me entertained and connected to the world when I was trapped inside for a million nap times. And they got me pretty excited about sewing. Thanks to my mom covering the basics with me (right and wrong sides of fabric, anyone?) and the internet, I feel like I’ve come a long way in sewing and I’ve really grown to love it now. We talked about what she wants to sew, and I’m gonna be honest, it’s pretty ambitious for a beginner. Several stuffed animals made the list. My goal for this week is to do some planning for teaching her and I thought the internet would be a great place to ask, since it’s where I got my second sewing wind. Any tips for teaching kids to sew? Any great projects, or experiences? I’m also working on a Sewing with Kids Pinterest board if you are looking for tips yourself. Follow Cinnamon Salt's board Sewing with Kids on Pinterest. *I love feeling accomplished. Today I got brave and changed the thread in my new to me serger. I also tried this technique called flatlocking which I failed at, but ya know, I'm learning so I don't feel so bad about it. And in the process I made a headband and used some of the old fabric stash. I also vacuumed and swept and did dishes and laundry and fed my 3 month old a million times, and did some homeschool with the big kids. I'm trying this new thing, now that I'm not moving or pregnant or moving and pregnant. It's this thing where I try to keep up with the housework/homeschool instead of always being behind and wishing I had more time/energy. The whole being not pregnant thing helps a ton with the energy issue, so I'm trying for realsie reals to get our house put together. *I love making more plants. If you didn't notice those things up there. *Butter. I used to be all judgy about how much butter people used at dinner functions (that was a long time ago. Let's just let that slide, guys), but ever since having kids I have developed a great love for butter. I mean, I was no stranger to it before. All I'm saying is that the amount of butter I put on toast would be appalling to my former butter judging self. *Play dough. I have probably a solid hour on my hands thanks to the entertaining properties of that stuff. Maybe more. *Blankets. Specifically, I am especially fond of this gorgeous quilt my grandma made us for a wedding present. While that was years ago, I'm just now pulling it out. We left it with my parents when we moved to Louisiana, because we didn't have a bed the right size before then and so seldom used it. Now that we are closer to my folks again, and my kids are getting bigger we pulled it out to see if it could be put to use. It turns out it's too big for a twin bed, and it's just a little small for my bed, but it works perfectly as a spare to fill in on chilly nights for me. And it's not so big and unweildy as to prevent me from stealing it away to the couch for some binge watching of Gilmore Girls (Oh yes, I do). Also, it's pretty. Also, also, I don't see a lot of my Grandma who made this, but I love it because it reminds me of where I get my craftiness from (like the making kind, not the sly, possibly villainous kind). A big story about being a little scared. The pediatric dentist is a couple hours away from us, because we live in a smaller town. A town that doesn't have a dentist equipped to fix such problems in such small people because in order to fix those problems they prefer to partially sedate kids.Whatever partially sedated is supposed to mean. Actually, I'll tell you, since now I know. Partially sedated means they gave him a cocktail of drugs that essentially made him act like the kid who showed up to my choir retreat in high school completely stoned (because apparently teenagers and toddlers are roughly the same in a lot of regards). He got really loopy. And then loopy mixed with spacing off randomly. Then laying on the couch blowing spit bubbles and alternately laughing and telling me it's not funny. Also quite a bit of telling me he could do things that he really couldn't do at that point. Or shouldn't. Like walking. Then they took him into a room where I didn't go in which they strapped him into a papoose board (a fancy way to say he was restrained) and gave him nitrous oxide as well and then got to work on his teeth. Fortunately I have family to stay with in this "big city" a couple hours away which makes all of this a ton easier. I don't have to drive back two hours with a groggy, moody, possibly (but thankfully not) vomitty child to get home to our beds. The siblings have been able to stay and play with grandma and cousins while I did this whole dentist visit with just the tiny person in question. We did have to pack some stuff, so we could stay with people, but that is a small thing in the long run. While I was packing , my biggest of the small people lost her first tooth. This is a big deal. Tooth losing sort of weirds me out, if I'm being honest, but again, I'm trying to be chill because the last thing I need is my hypochondriac child freaking out about losing teeth because I didn't keep my cool. She was brushing her teeth and then I came to check them. Truthfully, she probably doesn't need them checked anymore, but if I stop checking hers then her brother who is only 18ish months younger will think he doesn't need his checked, and then the two year old will be in the minority and fight to not have his checked, so I keep checking her teeth even though she is 6 years old. I was just brushing behind her lower teeth real quick-like and a tooth came flying out at me. It surprised us both. A lot. I went to go get a cotton ball for her bleeding gums and discovered quickly that just letting her rinse and spit was more effective (I'm so clueless!!!) . I don't remember my gums bleeding so much when I lost teeth. In fact, I sort of forgot they did at all until just the other day. I went to tell her dad and consult about tooth fairy rates because he was just heading to bed (night shift.) and then I went to collect the tooth so we could bring it with us so the tooth fairy could come. Then she came to me and snuggled up and quietly told me that it scared her. So we snuggled and talked about how it's ok to be scared sometimes and how she was ok even though it scared her. We came to Grandma and Grandpa's and proudly showed off the new gap in her smile and I think everyone's reactions helped ease the scary a little. We stayed the night at Grandma and Grandpa's and I slept like I was nearly 8 months pregnant (because I am). Which is to say I woke up frequently. Every time I woke up it seemed like I had been having strange dreams about teeth. Or when my 2 year old climbed in with me, I woke up wondering how I was going to get up without waking him up, so I wouldn't have to eat my breakfast in front of him when he couldn't have any (he had to be fasting). And wondering if I turned my alarm clock down if that would help, or if I would sleep through it and miss the appointment (because I'm good at ignoring alarms). It turns out that between the dreams and the concern about the procedure, and the surprise about my one-tooth-short daughter, and trying to figure out how to negotiate getting ready in the easiest way , and the usual pregnancy hip pain, I didn't have to worry about sleeping through my alarm. I was up well before my alarm, and was able to sneak out without waking the wee one. In the morning my eldest came running up at well before 7am which is very unusual for her, showing me the tooth fairy goods. I asked if she woke up early because she was excited and she told me, "no. I just ran out of sleep". That's about how I felt. The little boy slept in well past 7am which is unusual for him and we made it to the dentist's without a hitch. The procedure went well. He recovered well, other than being all sugared up because you are supposed to start them on clear things like jello and juice and after fasting all night and most of the morning he downed alarming amounts of both. And my strange dreams, and concern were mostly pointless. We were ok. Even though I was a little bit scared. It turns out it's ok to be scared sometimes. Well, I changed the blog name anyway. 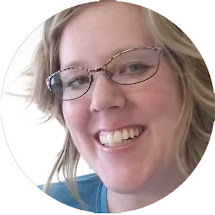 When I started this blog Dandy Kate was just meant to be a filler for when I found the name that really worked for me and then I never did find that name. I also never really blogged super regularly amidst what feels like a million moves and having a kid on top of the regular parenting thing, I never did get my groove here, but I'm feeling a little more on top of things lately and I'm hoping to spend a little more time here and I finally found a name that sits well with me. So if you are looking at the header and wondering why you aren't at the blog called Dandy Kate, you are. It's just called Cinnamon Salt now. *Making things. I feel most myself when I make stuff. I just do. *When I sit down to write something and I end up with something else. *Pecans in my oatmeal. Plus a whole bunch of fruit. *Post-its. My memory functions best when it's stuck in prominent places in my house. *Play group. I seriously love the ladies that have kids that play with my kids. My kids get friends. I get friends. Win win.